Shown are four variations on the folding tripod. Inverted-leg designs, left to right: Giottos VGR8265-M2C (carbon fiber), Velbon UT-43D (metal), the markedly unusual Tamrac ZipShot TR406 (which just snaps to attention), and the flat-folding Cullmann Magic SystemPod CB6.3. 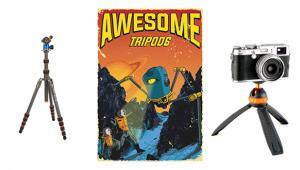 Today the Traveler is in good company, with many more tripods of its ilk, both carbon and metal. All these tripods sport compact ball heads to allow for that slim profile. Many of the tripods in this report are constructed using carbon fiber; some are metal. (Note that carbon-fiber models may feature a center column that is carbon fiber or metal.) 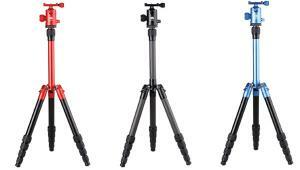 For the sports or nature enthusiast, certain of these tripods convert to a fully functioning monopod (formed from the removable center column and one leg, which unscrews). 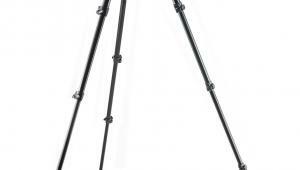 Legs form the core of a tripod, and carbon-fiber construction affords better vibration absorption and lighter weight, albeit at greater cost, compared with similar tripods with metal legs. A bonus with carbon fiber is that it is generally easier to handle under temperature extremes. The independent leg movement that was originally aimed at facilitating set up on uneven terrain has evolved, thus the inverted design. 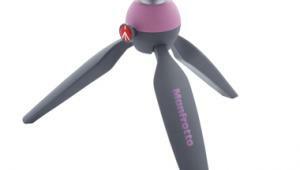 However, a select few tripods fold flat, that is, asymmetrically, with the legs aligned back to back. The Cullmann Magic was the first with this design, but now other manufacturers offer their own variations, namely the Benro Travel Flat series (in metal and carbon) and Sirui S-N series (carbon). 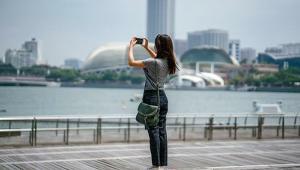 As with any tripod, the maximum load capacity is still a measure of how practical the tripod is in the end, and some are clearly built to support heavier gear. The featured tripods mostly employ four or five leg sections, with one using as many as six. A quick twist of the knurled locking mechanism governing each leg section is all that’s needed to unlock and extend the legs. In fact, you can grab all the knurled rings with one hand and release the sections with one swift motion. In Velbon’s case, the legs are released by twisting only the leg tips. The Cullmann tripod is a little different: friction holds the collapsed legs in place, so you can simply pull them out, twisting each leg section to lock it in place. Totally unprecedented, the Tamrac ZipShot just springs to life when held upright, after you undo the elastic cords that hold the legs together. Ideally, the tripod should set up to a comfortable working height without extending the center column. 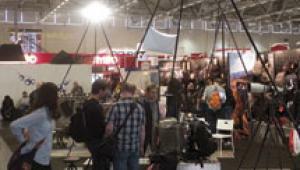 But compact tripods are often of shorter stature and may require some column extension. The center column on this group of tripods is of the “rapid,” friction-post type, utilizing a knurled ring to release/lock the sliding column. Many columns also feature an anti-twist design (evident by a groove running top to bottom), which prevents inadvertent rotation as you raise/lower the column. Center columns are usually reversible, and in rare instances may be shortened by unscrewing a section or replacing the entire column with a supplied short column. 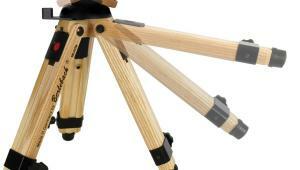 This allows the tripod to practically hug the ground for close-ups. The supplied center column is fairly short in its own right, compared with that of a studio tripod. An oft-overlooked design element is secure seating of the head on the mounting platform, via a tiny screw embedded in the platform (but this only works with compatible heads). This prevents the head from coming loose as it’s rotated counterclockwise. Ball heads designed for folding tripods are slimmer, but that doesn’t mean they are less capable—only that they are intended for lighter loads than their larger siblings. Shown (left to right): Photo Clam PRO-30NSP, Sirui G-10, Benro B1, Feisol CB-30C, and dedicated (hence the screw post) Gitzo GH2780TQR. Note that most used knurled knobs, in contrast to the Gitzo’s lever, to control various head movements. Drag control (whether separate or integrated) lets you balance the load (mounted camera gear) to the head for smoother operation. The ball head is often, but not always, included. Or it may be permanent, as on the ZipShot. 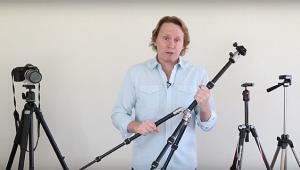 The Gitzo Traveler came to us as a kit, with a head designed to remain in place (but other tripods in the Traveler series accept a variety of heads). Some heads have one or more built-in bubble, or spirit, levels, but not all. Given that more and more cameras have a digital leveling feature, this may not be an important consideration for everyone. 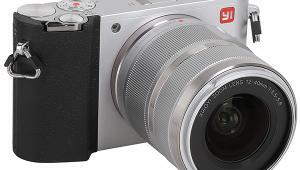 The head should come with a Quick-Release (QR) system for rapid attachment/dismounting of the camera. Ideally, the QR plate should have an anti-twist feature to keep the camera aligned during vertical shooting. 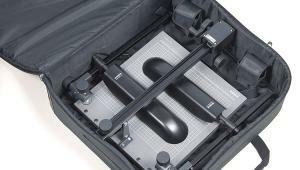 Note: Each QR system uses camera plates designed for that line of heads, although Arca-Swiss-compatible “universal” plates should be interchangeable. Regardless of the QR system in place, there should be a secondary release mechanism, or safety catch, to further secure the camera. Among the heads surveyed in this collection, some have only one knob or lever to govern all movement, including panning. Others add a panning control knob, which ensures smooth pans without head movement. You may prefer the third type, which adds a tension knob that controls drag (friction) on the main ball joint movement so that you can properly balance the load on the head as it’s being adjusted. Tension (whether on a separate knob or the main knob) may be marked, so you can reset it when needed. With all that in mind I aimed to include a variety of tripods in this report that are representative of the field. For my evaluations I mounted a Nikon D300 (29.3 oz) with attached Tamron 70-300mm VC lens (27 oz; 5.6” long—plus hood), set at the maximum focal length with vibration compensation switched off. Total weight was 3.5 lbs. My exposure times were 1, 5, and 10 seconds with metal tripods; up to 30 seconds with carbon fiber. Note: The ZipShot required a lighter load and other adjustments for our tests. Except for the ZipShot (which lacks a center column), each tripod was evaluated with maximum center column extension (with telescoping extension, where applicable). That literally stretched each pod to the limit in an otherwise stable setting, with all testing done indoors. If I were shooting outdoors, I would not suggest a fully extended column, but eliminating the variables of outdoor shooting helped create a level playing field. With few exceptions (noted) the camera was triggered using a MicroSync Digital radio remote (www.microsyncdigital.com), after a count of five to dampen movement and vibrations that may have resulted from adjusting the camera. All the carbon-fiber tripods performed admirably, even at 30 seconds, producing crisp images. However, what was surprising was the fine performance of the Photo Clam PT024, since this 2-pounder sports narrow legs (22mm maximum, in contrast to 28mm on the Giottos VGR8265-M2C, Sirui T-2205X, Feisol CT-3441SB, Gitzo GK2580TQR, and 24mm on the Redged TSC-424 tripods tested). I’d have to test other narrow-diameter carbon-fiber tripods to say for sure, but this might speak volumes for tripods with thin legs that we might mistake as spindly, provided they’re carbon fiber. Of course, put these tripods outside in windy conditions (without the addition of a stabilizing weight hanging from the center column) and the heavier pods should be expected to outperform the lightweights. The number of leg sections or carbon layers did not affect performance—at least under these controlled conditions. The Velbon UT-43D did quite well at 5 seconds, even fully extended, with just a touch of blur at 10 seconds. The Davis & Sanford TraverseB11 did equally well at full height. The Cullmann Magic CB6.3 and Tamrac ZipShot required some adjustment in the testing procedures, as you’ll see. The most exemplary heads belonged to tripods from Giottos (MH 5400 included) and Photo Clam (PRO-30NSP optional), with Sirui (G-10 optional) and Benro (B1 Dual Action included) close behind. They all exhibited smooth panning, with the Giottos and Photo Clam the most fluid overall. The dedicated Gitzo GH2780TQR head (included in kit), which appears to be built like a tank, is an acquired taste, owing to a single controlling lever that may take some getting used to. The Feisol CB-30C (included) and Redged RNB-1 (optional) proved least satisfactory overall, each exhibiting somewhat stiff and uneven head movement. Of the metal tripods, the best head came with the Velbon (QHD-53D included). The BH11 head on the Davis & Sanford tended to shift position when the pan lock was engaged. 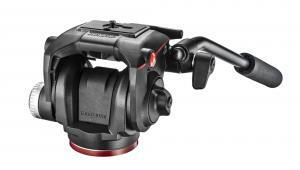 The Cullmann CB6.3 head (included) experienced difficulty with the D300/70-300mm combo, exhibiting constant head drift. Consequently, I tested this and the ZipShot after lowering the load and reducing exposure times. Camera and lens were now the D300 with an 18-200mm VR Nikkor set at 200mm (VR turned off). While this lens was lighter (19.8 oz) and shorter (3.8”), this reduced load still represents a formidable challenge for the ZipShot, just over the 3-lb limit for this slim support. Plus I employed the camera’s 10-second self-timer to allow each tripod to settle (because of the Cullmann’s extra-long column and ZipShot’s slender legs). Tests were made at 1/4, 1/2, and 1 second. The ZipShot did as well as could be expected under this burden, coming in a tad soft. The Cullmann CB6.3 head fared better, delivering a sharp image at 1 second, but exposures at 5 and 10 seconds were slightly fuzzy. However, it was difficult to align the camera and maintain alignment with these two heads. Shorter shutter speeds or a lighter load would likely have returned more promising results. 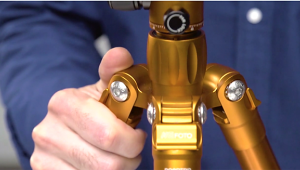 Both the Giottos and Sirui heads score additional points for their use of anti-twist pins in the camera plates. Gitzo’s QR was a tad convoluted, but, again, you might prefer the added security. The Velbon system loses points because it lacks the added security measures. All in all, despite the clever design, these tripods were not speed demons when it came to setting up and especially when restoring to their original folded condition. The one exception: the Velbon UT-43D, which, owing to innovative design twists, opened and closed quickly—I only wish it came in carbon fiber and with fewer leg sections. But keep in mind that setup times are not the issue; compactness and lightweight portability are—and this is where all these tripods shine. 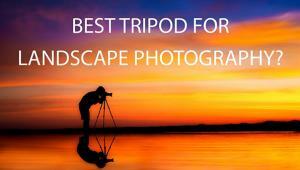 Travel tripods have come a long way over the years. They’ve become more compact, lighter, and generally easier to carry without compromising integrity or utility. Whether you opt for carbon fiber or metal, inverted or flat folding, you’ll find that you no longer have an excuse to leave your tripod home. You can carry any of these tripods with you, leaving it attached to your camera bag, and ready for any photo op when hiking, biking, or playing tourist along the Seine. Author’s note: I began with 13 tripods for this report, but had to drop the Vanguard Nivelo 245BK (www.vanguardworld.com) and Calumet 8121 (www.calumetphoto.com) after learning they were undergoing redesign. We will include these models in future updates of this survey. Note: Weights and measures may or may not include the head. Products are listed with head/QR camera plate supplied for these tests; head and/or QR plate may be optional. Benro Transfunctional Travel Angel C2691TB1 (www.benrousa.com). Inverted-leg design, carbon fiber (eight layers); 17.7” folded; max height: 55.5”, max height w/center column (rapid, anti-twist): 65.4”; five leg sections w/quick-twist locks (foam on one leg); two-position leg spread; 54.7” monopod conversion; B1 Dual Action ball head with three controls (main + pan + drag), Arca-style QR plate; screw-in rubber/spiked feet (non-retractable); retractable hook; max load: 26.4 lbs; weight: 3.8 lbs. Price: $536, street. Feisol Traveler CT-3441SB Rapid (www.feisol.net). Inverted-leg design, carbon fiber (six layers); 16.9” folded; max height: 52.8”, w/center column (rapid, telescoping): 72.5”; four leg sections w/quick-twist locks (foam on all legs); three-position leg spread; CB-30C ball head with two controls (main + drag), Arca-style QR plate; rubber feet; non-retractable hook; max load: 15.4 lbs; weight: 3.1 lbs. Price: $487, street. Giottos VGR8265-M2C (www.giottosusa.com). Inverted-leg design, carbon fiber (six layers); 16.5” folded; max height: 57.9”, w/center column (rapid, anti-twist): 66.6”; five leg sections w/quick-twist locks (foam on all legs); two-position leg spread; 69.3” monopod conversion; MH 5400 ball head with two controls (main/drag + pan), anti-twist, Arca-style QR plate; retractable spikes inside rubber feet; retractable hook; max load: 13 lbs; weight: 3.7 lbs. Price: $309, street. 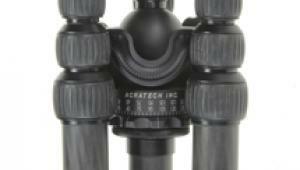 Gitzo Series 2 Traveler 6X Carbon Fiber (GK2580TQR kit version) (www.gitzo.us). Inverted-leg design, carbon fiber (six layers); 16.9” folded; max height: 51.2”, w/center column (rapid, anti-twist): 60.6”; four leg sections; two-position leg spread; GH2780TQR ball head with single lever lock, proprietary QR plate; rubber feet (optional screw-in spiked feet); retractable hook; max load: 15.4 lbs; weight: 3.8 lbs. Price: $749, street. Photo Clam PT024 Carbon Fiber Tripod (www.photoclamusa.com). Inverted-leg design, carbon fiber (eight layers); 16” folded; max height: 47.6”, w/center column (rapid, anti-twist): 56.3” (additional short column supplied); four leg sections w/quick-twist locks (foam on one leg); three-position leg spread; PRO-30NSP ball head with two controls (main/drag + pan), Arca-style QR plate; rubber feet; retractable hook; max load: 13.2 lbs; weight: under 2 lbs. Price: $269/tripod + $189/PRO-30NSP head (sold separately), street. Redged TSC-424 Ultimate Travel Tripod (www.redged.com). Inverted-leg design, carbon fiber (six layers); 16.9” folded; max height: 43.2”, w/center column (rapid, two-section): 54.8”; four leg sections w/quick-twist locks; three-position leg spread; RNB-1 ball head with two controls (main/drag + pan), Arca-style QR plate; rubber feet; retractable hook; max load: 16.7 lbs; weight: 2.2 lbs. 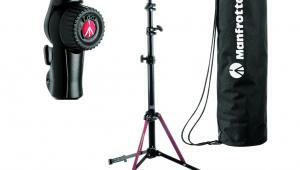 Price: $324/tripod + $105/RNB-1 head (sold separately), street. Sirui T-2205X (www.argraph.com). Inverted-leg design, carbon fiber (eight layers); 14.6” folded; max height: 49”, max height w/center column (rapid, anti-twist): 56.9” (additional short column supplied); five leg sections w/quick-twist locks (foam on two legs); three-position leg spread; G-10 ball head with three controls (main + pan + drag), anti-twist, Arca-style QR plate; retractable spikes inside rubber feet; retractable hook; max load: 26.4 lbs; weight: 2.6 lbs (tripod only). Price: $311/tripod + $95/G-10 head (sold separately), street. Cullmann Magic SystemPod CB6.3 (www.rtsphoto.com). Flat-folding type, black anodized aluminum; 16.1” folded; max height: 37”, w/center column (telescoping): 54.7”; four leg sections; 58.5” monopod conversion; CB6.3 ball head with single lever lock and proprietary QR plate; max load: 6.6 lbs; weight: 2.9 lbs. Price: $149, street. Davis & Sanford TraverseB11 (www.tiffen.com). Inverted-leg design, all metal; 16” folded; max height: 48.5”, w/center column (rapid, anti-twist): 57”; five leg sections w/quick-twist locks (foam on two legs); two-position leg spread; BH11 ball head with two controls (main/drag + pan) and QR; rubber feet; retractable hook; max load: 11 lbs; weight: 3.3 lbs. Price: $129, street. Tamrac ZipShot TR406 (www.zipshottripod.com). Self-opening, folded, aluminum; 15”; max height: 44”; legs spring open with the aid of bungee cords running through them; permanent ball head w/single lock lever; rubber leg tips; lacks center column; QR system optional; max load: 3 lbs; weight: 11 oz. Price: $49, street. Velbon UT-43D (www.osnusa.net). Inverted-leg design, aluminum; 11.6” folded; max height: 56”, w/center column (rapid): 61.6”; six leg sections w/multi-detented leg tip twist; three-position leg spread; QHD-53D ball head w/single locking lever and proprietary QR plate; rubber feet; max load: 6.6 lbs; weight: 2.6 lbs. Price: $209, street. These are best for traveling i really like this post for giving us such information about this,Thanks for sharing.